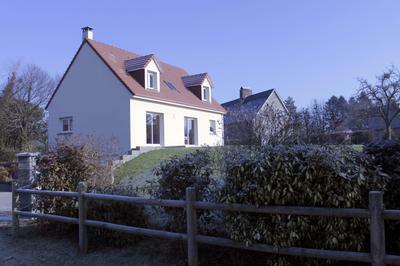 Recent detached house built in 2009. The 10 year construction garantee is still valid. The ‘Pavillon’ is situated in a quiet hamlet near Frênes in the Orne county. 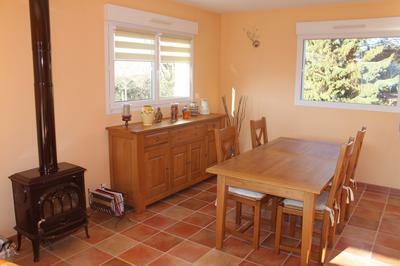 It is only 10 minutes from the two major towns and supermarkets : Flers and Tinchebray. There are local services in the two neighbouring villages of Frênes and Landisacq : two corner shops, a baker and two hairdressers. There are school buses for the major towns from Landisacq and Frênes and there is also a bus stop in the hamlet for the local primary schools. 1 hr 30 to Ferry, 1 hr 45 to airport. 2,5 hrs to Paris by train. The house is south facing and very bright thanks to the two floor to ceiling windows leading out onto the patio area. The house has been extremely well looked after and no work is required. You can move in straight away. There are 118m² for a ceiling height of at least 1.8m and a total of 130m² including the area under the eaves. The house is situated on 1722m² of land. 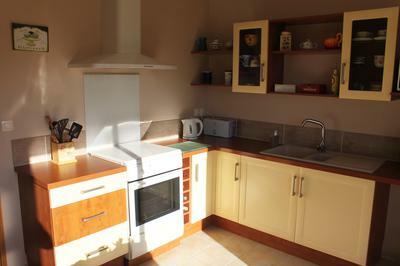 On the first floor there are 3 bedrooms of 10, 11 and 16 m², a bathroom with a bath and separate toilet. The two large floor to ceiling windows are south facing and have aluminium frames, one in the kitchen and one in the main room. The shutters are also made of aluminium and are insulated. 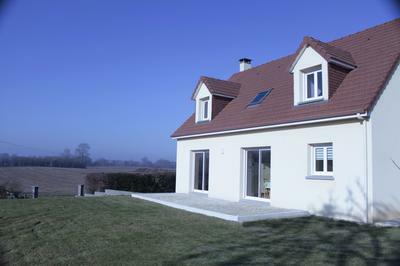 On the ground-floor, there is an under-floor heating system powered by a heat pump air / water and there is a wood burning stove in the main room. The house has been assessed and has a C rating for the DPE (energy consumption). The basement has plenty of storage room and covers the whole size of the house and there is enough room for 2 cars.